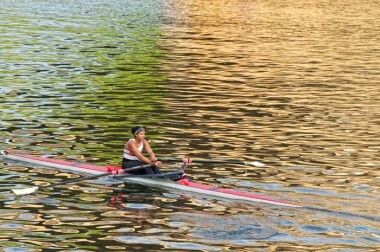 A lone woman rower strokes and glides through vibrant morning color. Elegant poetry in motion. 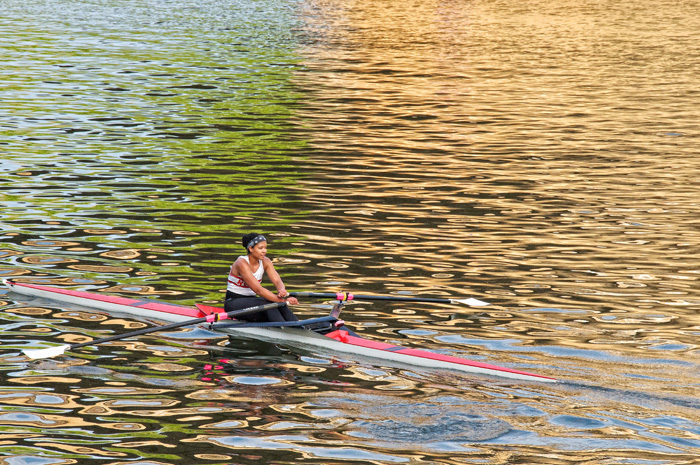 The golden glow on the water is the Columbia Bridge in reflection; landmark on the Head of the Schuykill Regatta course; up river from historic Boathouse Row. Impression of pure sensuous renewal of body, mind and spirit in rhythmic motion; absolute love in action: determined, dedicated and disciplined.